If you’re a sports fan you likely hold a personal attachment or passion for a certain sports venue. A baseball park you love. A football stadium you think is better than others. A basketball arena you enjoy seeing hoops at. I’ve always been fascinated by sports venues. Even though they’re just physical structures, the history and memories they hold almost seem like a living, breathing thing. When I was a kid, my parents used to take me and my brothers to Notre Dame basketball games all the time. I probably saw 75 or so games in that place growing up. 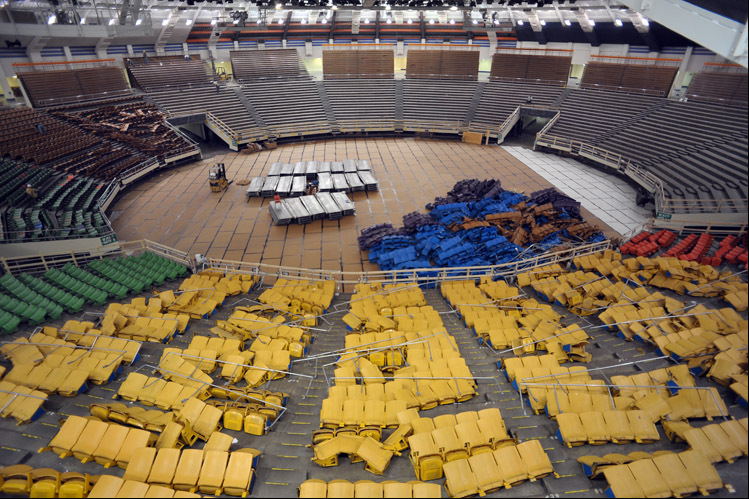 About a decade ago, Notre Dame gutted and completely renovated the arena. The result was the Purcell Pavilion. The new arena was an upgrade in every way imaginable. Yet oddly enough, the handful of times I’ve attended games at the Purcell Pavilion, I seemed to pine for the days of the Edmund Joyce Athletic and Convocation Center. Why do I miss something that is not as good as what they have now? It’s probably the same reason folks miss the old Chicago Stadium. In the mid-90s the Bulls and Blackhawks moved next door to the brand new United Center; a state-of-the-art facility at the time. I’ve been to the United Center for several Bulls games, a Blackhawks game, and a concert. As nice as it is, I think every time I’ve been there I’ve overheard a conversation between people talking about how they miss Chicago Stadium. The Chicago White Sox’ baseball park has changed names a few times over the years, but if you’ve been there in the past 10 years I think you’ll agree it’s a nice ballpark, regardless of whatever they’re calling it these days. The Sox’ old ballpark, Comiskey Park, was by all accounts a run-down dump by the time they leveled it. Yet, if you ever meet a die-hard Sox fan over the age of 40, ask them which park they like better. I can all but promise you the answer isn’t the “new” Comiskey. This isn’t exclusive to Chicago sports fans. 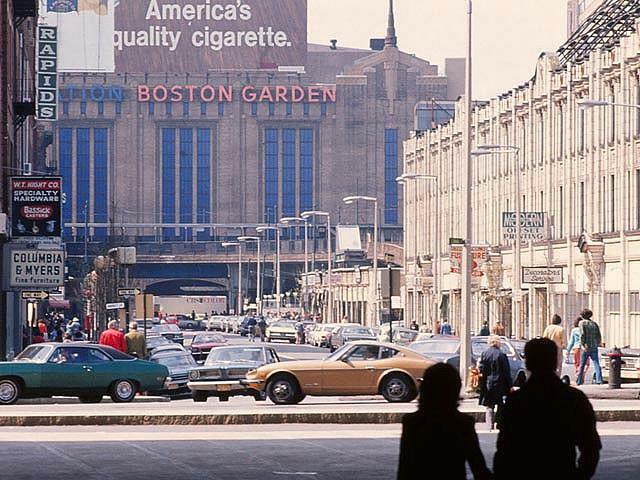 Bostonians feel this way about “The Gaaaaden.” Some New Yorkers miss old Yankee Stadium. I’m quite certain there are fans in the Motor City who will miss Joe Louis Arena now that their Wings have moved to the new Little Caesar’s Arena. The newer venues just don’t have the same attachment with a lot of fans as the old venues. I think there are several reasons why. Maybe the old venues were more distinctive. Don’t get me wrong, baseball venues erected in the past 20 years are far more distinctive and superior to the ones they replaced from the ’70s. Football is starting to follow their lead with newer venues like Jerry World in Dallas, Lucas Oil in Indy, and the new Mercedes-Benz Stadium in Atlanta. Yet I think most basketball arenas constructed the past 20 years are far less distinctive than their predecessors, and a lot of other football stadiums seem pretty similar too. Hey, what’s this stadium called anyway? One the biggest factors in why I think people are less attached to sports venues today is because of corporate naming rights. The Miami Dolphins have played in their current venue since 1987, when they moved out of downtown Miami’s Orange Bowl. During the past 30 years, their venue has changed names 8 times. Yes, 8 times! When you go see the Packers you go to Lambeau Field. 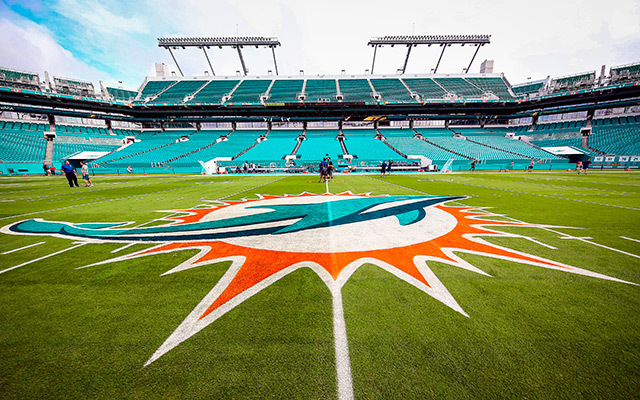 When you go see the Dolphins you go to Joe Robbie Stadium…no, Suntrust Field….no, Landshark Stadium, um no…..oh yeah…..Hard Rock Stadium! There! I got it! The ever-corporate-name-changing just takes all the personality and character out of a venue. Corporate naming rights wouldn’t be as bad if the place got one name and then just kept it. Hence, the United Center in Chicago. In fact, several basketball arenas built in the ’90s originally had airline corporate names, and most sounded fine. The Utah Jazz played in the Delta Center. Not bad. Now it’s called “Vivint Smart Home Arena.” Not so good. The Phoenix Suns played in America West Arena. I liked that. It’s now called “Talking Stick Resort Arena.” Not so good. Up until this season, the Sacramento Kings’ were calling their place “Sleep Train Arena.” Trust me, you don’t want the word “sleep” associated with your sports venue. The current corporate name for the aforementioned White Sox’ stadium is “Guaranteed Rate Field.” Their logo has an arrow pointing down on it. That’s not a positive message for your team! When I was a kid, basketball arenas were called The Spectrum, The Omni, The Mecca, The Forum. A lot of the football stadiums were lousy back then, but their names were great: Veterans Stadium, Three Rivers Stadium, Riverfront Stadium, Mile High Stadium, The Astrodome, The Kingdome, The Silverdome, The Hoosierdome, Memorial Stadium, etc. Now these were names that had character! They had personality. You could attach memories to these places. Thinking about the old venues and the old names makes me appreciate the classics that still remain…….Too bad there aren’t more of them left!!! Previous Post The Super Bowl!